Okay, if you want to get all technical I'm not actually reading this one just yet. I finished my other book minutes before dashing out of the house this morning so I'll be diving into The Darkest Star tonight. I. Am. So. Ready! This was *so good*! Sweet and funny and sad and romantic and full of pining and longing and missed opportunities... loved it! YEAH!! I told you December was so good. I am giddy like a kid getting cake, because you liked it. And now you are reading one of your fave authors. I hope her new book is quite pleasing to you. Isn’t it a great feeling when you want someone to love a book... and they do?! :) I was really getting choked up at the end. When Laurie and O. split *tears*, when she called in to J.’s show *more tears*, when she surprised him and showed up *sobs*. So, so good! Lucky duck! I've got a handful of October and November books left. Exactly, Lauren! I’m excited to get back to reading MY books. And not reading on a schedule or with deadlines. Hooray! 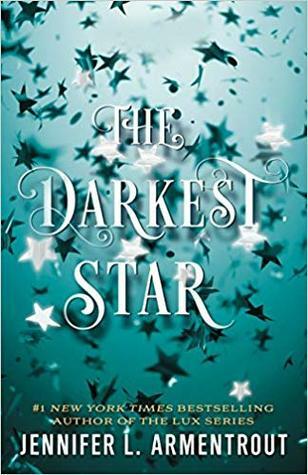 Ooooo I love the cover to The Darkest Star - it's so pretty! I hope you enjoy it. 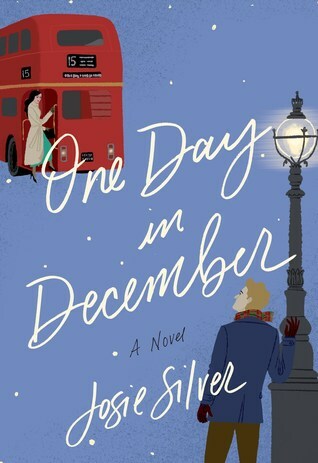 I just saw a review for One Day in December and it sounds so sad but beautiful as well... I suppose that makes it beautifully sad? It *does* feels great to get ARCs taken care of! I made a resolution earlier this year to take a giant step away from ARCs and get back to reading my own books. And I’ve been loving it! It’s so easy to get caught up in all the new releases and completely neglect all the books sitting on your shelves or your Kindle. Books that I really do want to read! I read The Darkest Star and kind of liked it lol It felt more like a set up for the next book but also had a few interesting twists that I liked. I already *love* the Lux series so I’m guessing I’m going to be pre-disposed to loving this one. I had my first Daemon Black cameo at 20% and I about lost my mind. Haha! Ooh pining. Why is it that pining is so great to read about? I still haven't read Restore Me either! But I feel like I need to reread the previous books cuz I don't remember anything, and I might as well just wait until there are more books out and binge read everything lol. Same here! It’s been several years since I read the Shatter Me books so I totally need a refresher. I *must* get to Restore Me soon! I have seen The Darkest Star everywhere, I have no idea what it is even about though? I feel like it is a spinoff series, yes? Glad that One Day in December was good! I am currently reading Dry by Neal & Jarrod Shusterman (awesome, obviously) and I am starting Four Three Two One by Courtney Stevens too! I definitely need Restore Me. Just have to decide if I want to buy the hardcover or go the library route. Decisions, decisions. The Darkest Star is indeed a spinoff series. Do remember Jennifer’s Armentrout’s Lux series - starting with Obsidian? It’s a spinoff of that. I just read a review of Four Three Two One that has me convinced I need to read it! I've heard so many good things about The Darkest Star! I hope you're enjoying it! I hope you like Leah! It doesn’t sound like a “me” book, but I want to read it because the author is an amazing person. 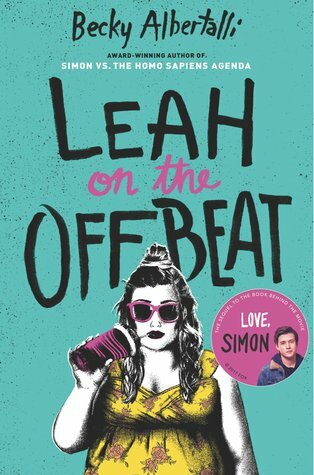 I’ve read three by Albertalli so far and she hasn’t let me down yet so my fingers are crossed for Leah!